As our video discussed, the hierarchy of controls is an extremely important concept in the safety world. Safety professionals use the hierarchy as a decision making tool that gives us a systematic way to identify the best forms of protection for people. When faced with a hazard or a risk you start at the top of the hierarchy and work your way down until you find a control method that is both feasible and controls the risk to an acceptable level. The reason why the hierarchy of controls works is because as you move down the hierarchy of controls you increase defeatability. Using the tiger analogy from the video, wearing a tiger protective suit (i.e. using personal protective equipment, or PPE) is easily defeatable because the person can simply choose to not wear the PPE. Whereas as you move up the hierarchy a person’s ability to defeat the control and expose him or herself decreases. You can’t be attacked by a tiger if the tiger is not there because the tiger was removed through “elimination” or if the tiger is effectively controlled in a cage (i.e. engineering control). This leads to a little known secret in the safety world – using the hierarchy of controls effectively not only makes people safer, but it can also cut costs. Think about it, if you want your controls to work and you’re relying on the lower controls (i.e. warnings, administrative controls, and PPE) how do you make sure they are working? The answer is supervision. As you increase defeatability you also increase the need for supervision to ensure that employees are protected. This means that supervisors need to devote more time to monitoring employees, it means more supervisor training, it means less time getting the job done. All of this translates to increased costs for your business. Safety professionals get a bad rap sometimes for being a hindrance to getting the work done. Admittedly this is many times our own fault. 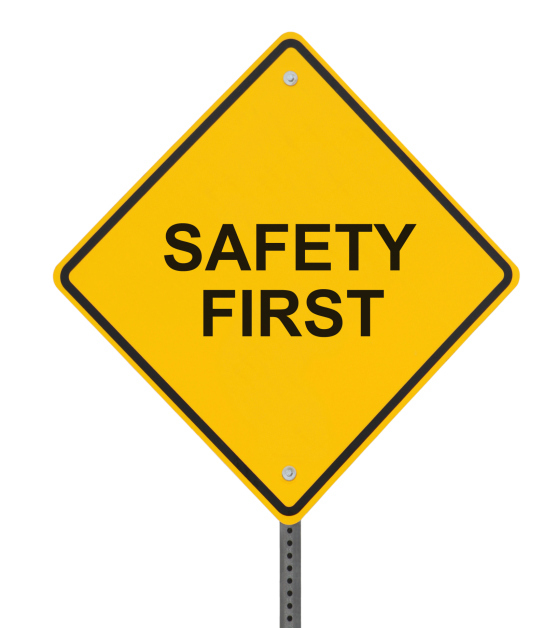 Safety professionals often times spend far too much time being “safety cops” – enforcing the safety rules, making sure everyone’s wearing their PPE, chasing employees down to make sure they come to training classes on time. This doesn’t make us the most popular people sometimes. However, we are strong believers that when safety is done right, using tools such as the hierarchy of controls and others such as safety management systems and prevention through design techniques (more on those in another video and blog), safety makes jobs more efficient and more cost-effective. After all, when we’re being “safety cops,” what are we doing? We’re enforcing the lower controls. We’re making sure that our warnings, administrative controls, and PPE are utilized and are effective. If safety professionals spent their time thinking of innovative ways to apply the hierarchy of controls maybe we could not only make everyone safer, but we could also save the organization some time and money. We might also be able to salvage the reputation of safety professionals everywhere and I can think of at least two safety professionals who would appreciate that.